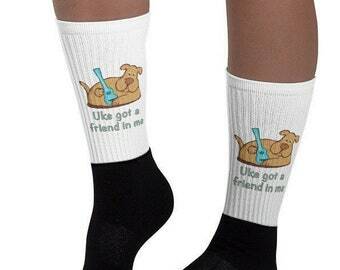 Ukulele socks with cute dog and "Uke got a friend in me" slogan, a perfect friendship gift for ukulele lovers! 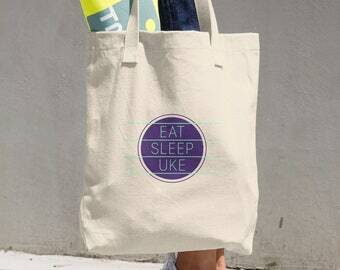 Ukulele Tote Bag - "Eat, Sleep, Uke" - Cool bag with ukulele slogan, a perfect gift for musicians! 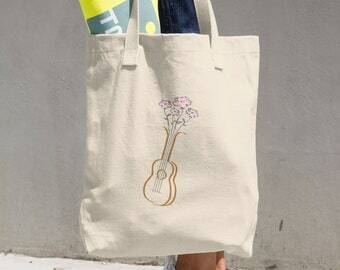 Floral Ukulele Tote Bag - Pretty bag with ukulele and pink flowers design, a perfect gift for musicians! 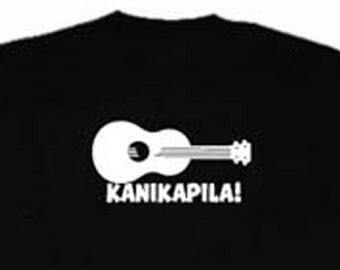 Ukulele Mug - Great mug with vintage uke designs, a perfect gift for musicians!